When you are old and grey, and full of sleep, shall I compare thee to a summer’s day; or do you walk in beauty, like the night, down by the Sally Garden? Shall I count the ways I loved you, will they stop the clocks, cut off the telephone, leaving me palely loitering, all alone? Yet, I’ll remember the first day, first hour, first moment, first time; and you will still be my Valentine. Oh dear. Undeterred by asinine verse, you may even now be listening eagerly for the postman, in hopeful, delicious, anticipation of the arrival of a card, a note – something, anything – dropping onto the doormat from the one you love; anonymously, of course. And how about you? What will you do to prevent your Valentine’s Day being a massacre? No, no, NO – not an email, text, WhatsApp message, or whatever – that will NOT do; what are you thinking?! Apparently, some smooth Casanovas ask for dates by these, or similar, eye-contact-avoiding means; is the Digital Age making us impersonal in affairs of the heart, cowards in love? 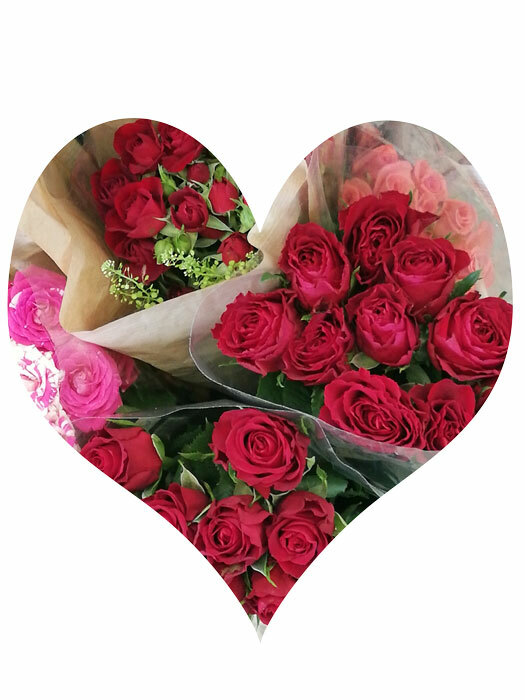 Valentine’s Day is a special day, an opportunity to remind that particular person how much they are loved, and perhaps spend a little romantic time together. Maybe you want to let someone know how you feel, just in case they’re unaware of it. 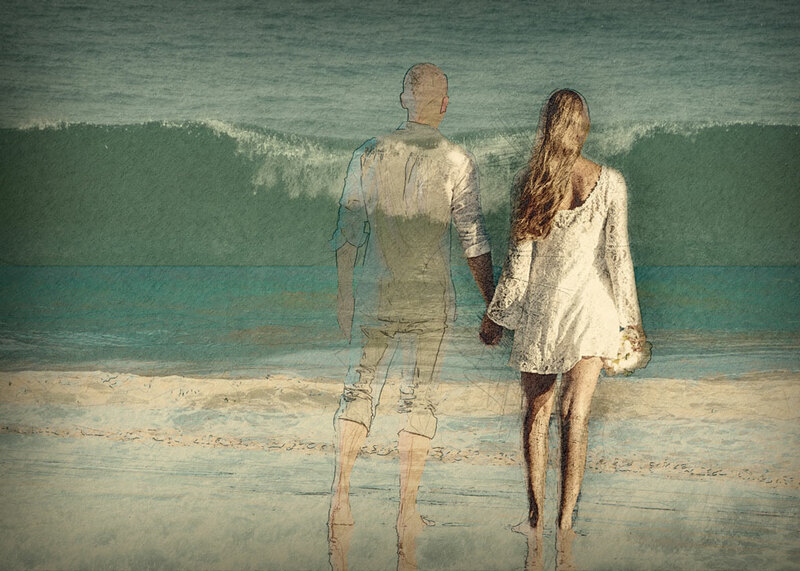 Maybe you simply want to quietly remember someone. But, will you make someone’s pulse race and send a card? Will you give or receive roses? Chocolates? Champagne? Plan a romantic dinner, or weekend away? It is common, apparently, to propose marriage on Valentine’s Day. Some, I hear, risk getting the elbow if they don’t demonstrate their undying affection in some appropriate manner on this Annual Day of Love. The owner of a local card shop confided in me that she had one customer chappie who was adamant that he wouldn’t get his tea if he didn’t buy his wife a Valentine’s card; calamitous stuff! But this is the north of England, where men can’t make their own tea; allowances need to be made. 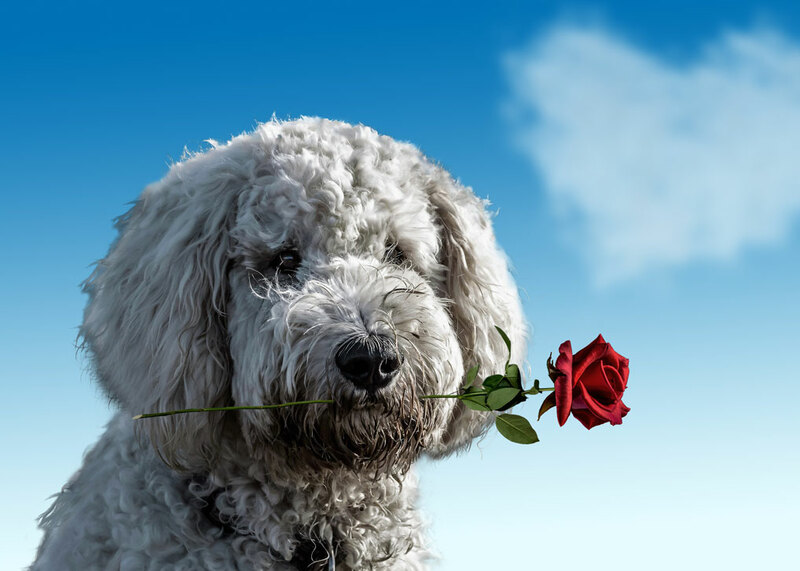 Bizarrely – and you may find this difficult to understand (as well as slightly unsavoury) – 4.5% of Brits buy a Valentine’s gift for their pet dog. I’m trying to imagine what Fido would make of that; though I can imagine what a psychologist might say. C’mon – take this seriously, will you? 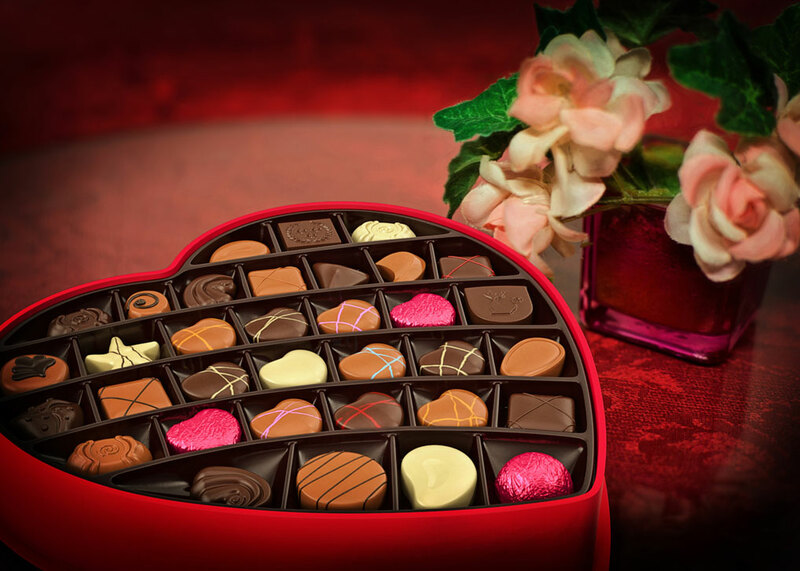 You won’t be surprised to learn that Valentine’s Day is big business. Huge. In 2018, the market in Britain alone was worth £650 million, up from £620 million in 2017. According to the Greeting Card Association (and they should know), in 2018 we Brits spent nearly £46 million on Valentine’s Day cards, an increase of just under 5% on the previous year; and we are sending more cards too – 20.9 million, an increase of 11%. (So – cards are getting cheaper, or we’re buying less expensive ones). When I asked the lady in our local card shop whether it was just silver foxes like me who bought Valentine’s cards, she said, no, it’s all ages, and normal people too. This is backed up by the GCA, who say that 18-34 year olds are sending more cards than a generation ago and, interestingly, that 94+% of greetings cards overall are bought from high street shops (rather than online). It’s good to know that our card shops are unlikely to fold. So, what else do people procure to sweeten their sweethearts? The top four Valentines Day purchases are, in descending order: food and drink; jewellery; flowers; clothing (a nice set of overalls, perhaps). More than 50% of us spend something on our beloved partners (presumably, this includes dogs, cats, iguanas, goldfish etc); 16% of us celebrate Valentine’s Day without spending anything (hard to beat a cheap night in) and 31% of us don’t celebrate it at all. I’m guessing that 95.5% of dogs don’t celebrate it, either, poor unloved things. Those least likely to mark Valentine’s Day are the residents of Yorkshire and Humberside (I warn you, you won’t get your tea), where 37.3% of the population can’t be faffin’ with that kind of malarkey. 73.5% of Londoners, however, do celebrate Valentine’s Day; thus, we may conclude that cockerneys, financial whizzkids etc are the most romantic among us. Given that Brits – well, the English anyway – are generally considered to be cold and unemotional, it must be all those amorous foreigners, eh? As well as the Greeting Card Association, who kindly replied to my email and who celebrate their centenary in 2019, visit Finder.com and the British Library blog for more about the business of Valentine’s Day. That’s all very well; but how did Valentine’s Day start? 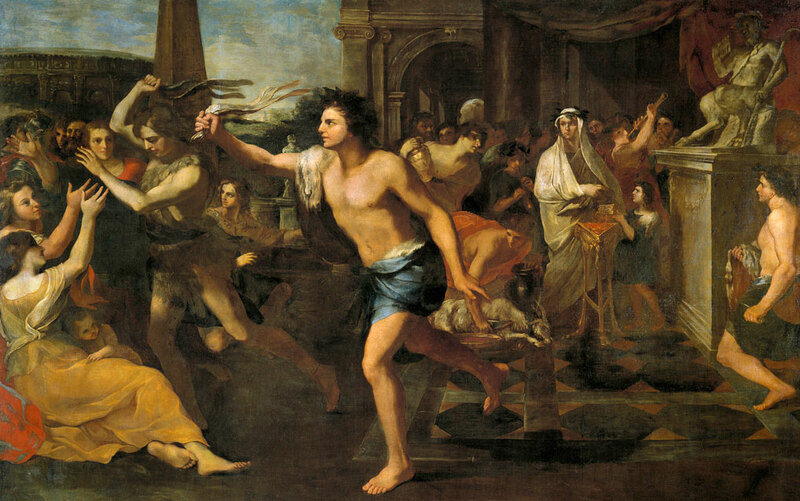 We begin with Lupercalia, the feast of Lupercus, the Roman god of fertility. Of course we do. Lupercalia is a very ancient festival indeed, with obscure roots far beyond my ability to concentrate and with connections to the she-wolf who nursed Romulus and Remus, the very founders of Rome. Rituals included the sacrifice of a goat (or two) and a dog, whose hides would be cut into thongs which were then used to gently whip willing women. The whipping was carried out by scantily clad, or naked, chaps and was, as you would expect, intended to make the ladies fertile. I daresay strong drink was involved somewhere too. Lupercalia is also associated with Februa, the feast of purification, for which the month of February is named. It’s not entirely clear to me whether Februa became Lupercalia, or the other way round. The point is that it occurred either on 15 February, or between 13 and 15 February – depending who you believe. And some think this might have been the origin of our Valentine’s Day. I like to imagine that the animals – certainly the dogs – were given a nice Lupercalia Day gift before being dispatched, but they probably weren’t; sorry. Next into the murky mythical mix comes St Valentine himself. Or St Valentines, because there seem to have been at least two of the little loves. One tale that is repeated in varying versions is that our Valentine – or Valentinus – was a third century bishop in Rome who, despite what strikes me as an implausible imperial ban on soldiers marrying, conducted wedding ceremonies in secret, thus incurring the wrath of the authorities. Whilst imprisoned for his heinous crimes (presumably, performing weddings without a licence), Valentine fell in love with the blind daughter of his gaoler, Asterious, and restored her sight. In no account that I have seen is she given a name; she is, simply, the daughter of Asterious. Anyway, following this miracle, Asterious promptly converted to Christianity and instructed his entire household to follow his example. However, Emperor Claudius, having nothing better to do, and presumably fed up with Valentine’s irritating monotheism when there were so many other nice gods to choose from, ordered that Valentine be beaten with clubs, stoned and then decapitated. Before his execution, which took place on 14 February in c270 AD, Valentine sent his poor, nameless, sweetheart a farewell note signed, “from your Valentine.” The very first Valentine’s Day message. He was buried on the Via Flaminia in Rome, though, like all the best saints, St Valentine’s remains are scattered – in his case as far apart as Prague, Chelmno, Vienna and Glasgow. One of his skulls is in Rome’s Santa Maria Basilica, whilst his body, or one very much like it, rests in Whitefriar Street Church, Dublin. His feast day – Valentine’s Day – was announced as 14 February by the Pope in 495 AD. As well as being the patron saint of lovers, St Valentine is the patron saint of young people, epileptics, fainting, beekeepers and plague. – I am already sick of love, my very gentle Valentine. 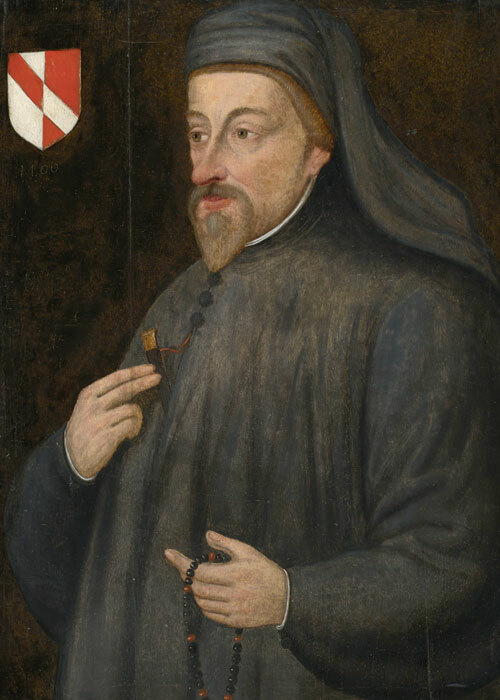 Probably the oldest surviving Valentine’s Day greeting in English was written by a young Norfolk woman, Margery Brews, to her cousin and fiancé, John Paston, in 1477. In it, she calls John, “my right well beloved Valentine” and says that she won’t be in good health until she hears from him. Samuel Pepys, royal naval administrator, philanderer and bar, and sometime diarist, mentions Valentine often. Intriguing…you can’t help wondering whether Mr Brown obliged Miss Mossday on Sunday, can you? Mass-produced Valentine’s Day cards appeared in the 19th century and, by the mid 1820s, an estimated 200,000 cards were in circulation around London (I’m guessing there were slightly fewer than that in Yorkshire). With the introduction of the uniform Penny Post in 1840, the number of cards doubled by the end of that decade and, according to the Museum of London – which has a collection of more than 1,700 Valentine’s cards – doubled again by the 1860s. Valentine cards began to be exported to the USA, where they were promoted as a British thing. As well as ornate, romantic, cards that were made with lace paper and decorated with images of flowers, birds and cupids, the Victorians produced some amusing, as well as some less elaborate, offensive cards. So-called ‘vinegar’, or ‘mocking’ Valentines’ were designed to tease – or hurt – perhaps lampooning a man’s profession or character, or even a woman’s appearance. It is said that the Victorians considered it bad luck to sign a Valentine’s Day card. Who knows; maybe young men were terrified of Victorian dads and young ladies didn’t want to appear too forward. Or, maybe we’re all inspired by that very first greeting, “from your Valentine”. In Mexico, February 14 is a day of national mourning. Not true: in Mexico, Valentine’s Day, 14 February, is Día del amor y la amistad, which means the day of love and friendship. In medieval times, girls ate bizarre foods on St Valentine’s Day in the hope it would make them dream of their future spouse. Possibly – but more information is needed. What bizarre foods? Strong cheese, perhaps? Presumably, this belief only applied to the few young ladies who were rich enough to pick what they ate! Also in the middle ages, young men and women drew names from a bowl to see who their valentines would be. Sounds like a good party game to me. If you spot a goldfinch on Valentine’s Day it means you will marry a millionaire. Oh yeah? If you find a glove on Valentine’s Day, your future beloved will have the matching missing glove. If you see a squirrel on Valentine’s Day, you will marry a miser who will not spend money on you. If your Valentine sends their dog a Valentine’s Day card, be careful. And, of course, if your Valentine does not mark the event in any way, then you must deny them tea. The red rose was the favourite flower of Venus, the Roman goddess of love. Aphrodite, the Greek goddess of love before the Romans renamed her Venus, certainly has associations with roses. But, when you start delving into this, the legends are many and various. Somewhere along the way, someone has also decided to allocate different meanings to different shades of rose. All of which goes a bit beyond A Bit About Britain’s remit. So, let’s wrap this up by looking at a custom a little closer to our time. Absolutely, we shouldn’t. I’m all for a few giggles and smiles. Thanks for posting, and making me smile. Thank you! We shouldn’t take everything seriously, should we? You’re right. But an excuse eases any feeling of guilt. A most amusing and informative post, Mike. I hope you and Mrs. B celebrated in style! There are plenty of recently manufactured celebrations, aren’t there?! It’s kind of comforting that this isn’t one of them. Happy St. Valentine’s Day, Mike! You forgot “An Affair to Remember” with Cary Grant and Deborah Kerr, and the original of it (and I like it better), “Love Affair” with Irene Dunne and Charles Boyer. And, my very favorite movie, “My Man Godfrey”, more funny than romantic, but entertaining! And what about the Jane Austen adaptations? Oh! “North and South”, with Richard Armitage – possibly the most romantic ending I’ve ever seen on film. I hope Mrs. Britain enjoyed her Valentine’s Day. How could anyone forget “An Affair to Remember”, Lisa?! Especially as it features in “Sleepless in Seattle”. I saw a goldfinch and also a squirrel. Happy Valentine’s Day ! A very Happy Valentine’s Day to you and yours, Mike. Of all those movies/series the one I’d watch over again is Pride and Prejudice. We go lightly on Valentine’s day and what is done one year is never guaranteed the next. Great information as usual. Thanks, Ellen. Even I enjoy that version of “Pride and Prejudice”! Thanks, Judy. You wouldn’t believe how long we had to pose for that shot; great art isn’t created at the amateur snap of a shutter. I don’t have a problem with dogs – just the idea that someone might want one as a valentine. Oh, yes – “You’ve Got Mail” is a smashing little movie! I always learn things from you but I just LOVE this post! I wonder — if I gave Lizzie a Valentine gift (a new catnip mouse, perhaps?) might she stop yowling for food every half hour? Love all this history, most all of which I’ve never heard, and your movie list. As for me, I will deck the halls with it because we all need a little love and hearts are pretty! I’ll treat my Valentine and he’ll treat me and life will be good. Because it is. Valentine’s day is really almost every day! Thanks, Jeanie; you’re right – we all need a little love. A great post Mike, interesting and informative. Wishing you and Mrs B a happy Valentine’s Day, my good wishes. Yes – my heart was in it, Derrick. You and Mrs B entertain each other in whatever way pleases you both. Thank you for éntertaining we, your followers, with another fact and fun filled essay. Thanks, Frank; it was fun to research. I’m sure others will add to the ‘romantic’film list, but I will put our favourites – both set in France – A Good Year and French Kiss. Interesting read. Amazon keep bombarding me with offers on books for Feb 14 – as if anyone wants to be reading a book on Valentine’s Day! Maybe just look at the pictures? Like many ‘events’ in the calendar it’s become a money spinner. Overpriced chocs, meals and wine for one day. Bah humbug, I’ll make my own tea! Buy in advance and eat in..? A comprehensive history of the day! Hope your tea is a good one! 31% of us don’t celebrate it at all!!! Of course not. Until recently I thought it was a made-up, commercial payday for American shops and advertisers that would never be tolerated in Australia. I knew there was a good deal of history behind the day, but that is quite a lot! I’d better not let the dogs see this…they have enough ideas as it is….and they would certainly not appreciate Lupercalia. Faced with our local town’s idea of a romantic meal….lasagne with a choice of red or white sauce…..we do without. Not that it was much better in rural France where most of it came from Brake Brothers in a plastic pouch to be microwaved for the unsuspecting customer. Charles d’Orleans mother was called Valentina…. The UK could do with a bit of amor y amistad at the moment! It’s hard to know when to stop when you write something like this! “And how about you? What will you do to prevent your Valentine’s Day being a massacre?“. Best to you and Mrs. Britain, Mike. I treasure your sense of humor, sir. Mrs C has been known to make the same observation. 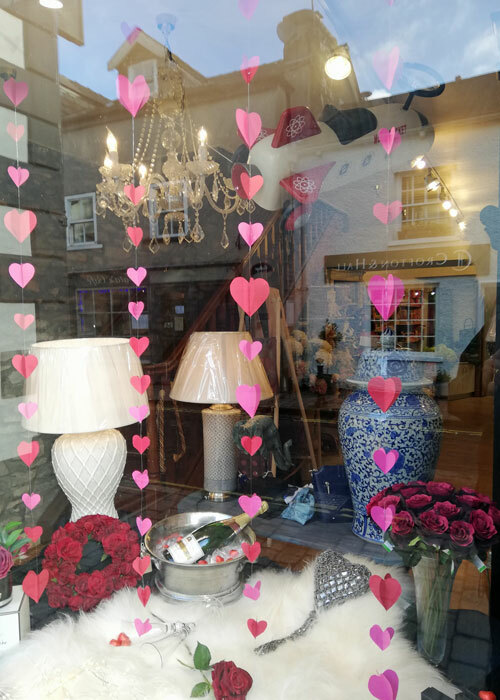 Don’t forget the valentine Sam Weller saw in the stationer’s window. It “was a highly-coloured representation of a couple of human hearts skewered together with an arrow, cooking before a cheerful fire, while a male and female cannibal in modern attire, the gentleman being clad in a blue coat and white trousers, and the lady in a deep red pelisse with a parasol of the same, were approaching the meal with hungry eyes, up a serpentine gravel path leading thereunto. A decidedly indelicate young gentleman, in a pair of wings and nothing else, was depicted as superintending the cooking; a representation of the spire of the church in Langham Place, London, appeared in the distance; and the whole formed a ‘valentine,’ of which, as a written inscription in the window testified, there was a large assortment within, which the shopkeeper pledged himself to dispose of, to his countrymen generally, at the reduced rate of one-and-sixpence each.” However Sam preferred to sent his Valentine a message composed and written entirely by himself. Much more romantic! I should have remembered Dickens! Thank you, Dorothy.